Surgical technologists have the unique opportunity to work with a nurse inside the operating room (OR) which can lead them to a career change like it did for Sypria Bernard, MSN, RN, CNOR. “Although I loved my career as a surgical technologist, there was that spark of ambition in me that always wanted to become a nurse.” With a passion for the OR guiding her, Sypria decided to become a registered nurse and North Shore University Hospital (NSUH) was there to lend support. Explore our PeriOperative opportunities and discover the career path you’re Made for. *Northwell’s tuition reimbursement program is for eligible non-union employees. Union employees receive benefits based on their CBA. March 8th marks International Women’s Day to celebrate women everywhere. 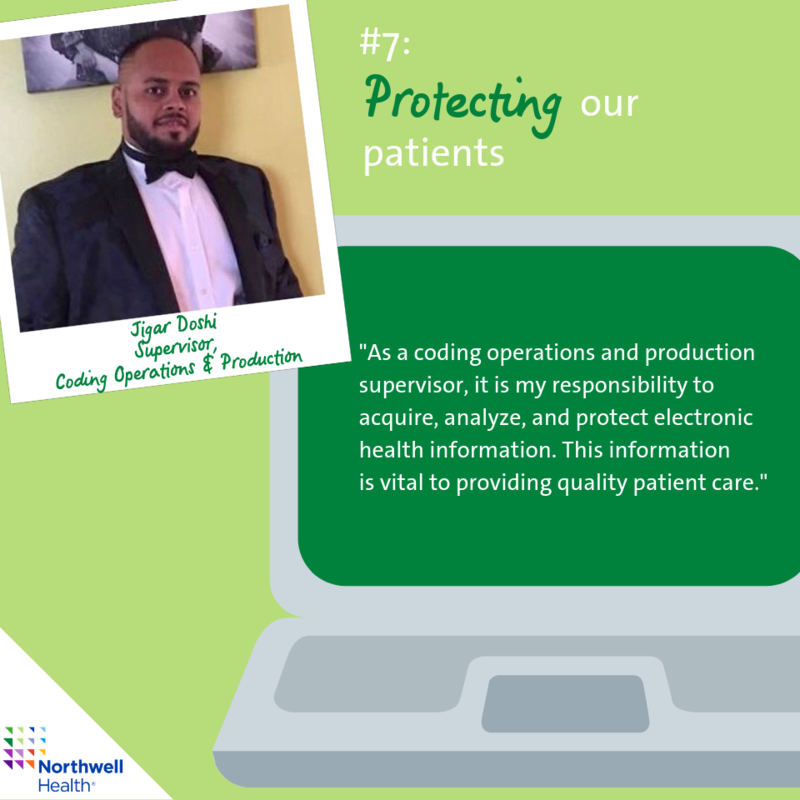 At Northwell Health, we’re committed to fostering a diverse work environment that champions its team members regardless of gender or gender identity and where everyone can be Truly Ourselves. In celebration, hear from some of Northwell’s amazing women and the women that inspire them daily. It’s hard to find an Advanced Clinical Provider who provides more Truly Compassionate care than Sharon Hasfal. 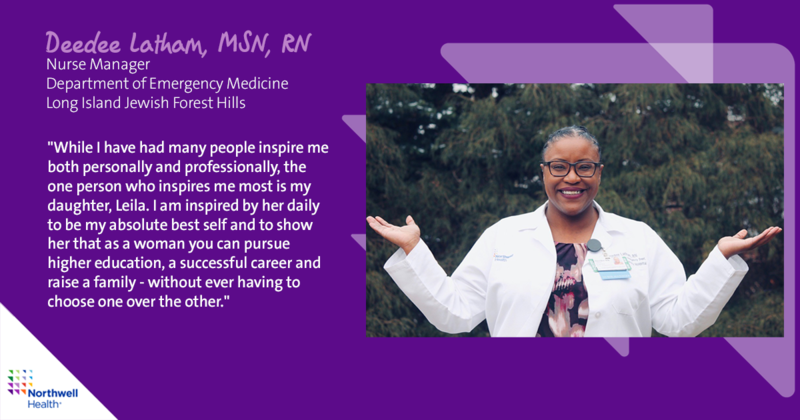 Sharon is a nurse practitioner (NP) in the medicine service line, where she plans and participates in many of the team building/engagement activities that help keep our team working well, together. But Sharon’s compassion goes way beyond the call of duty, and she does so with a humbling grace that shows, no matter the challenge, she’s Made for this. Sharon was born to be an NP. Blessed with, as she claims, “the gift of gab,” she uses her skill to speak with her patients and takes time to let them know what their plan of care is for the day. 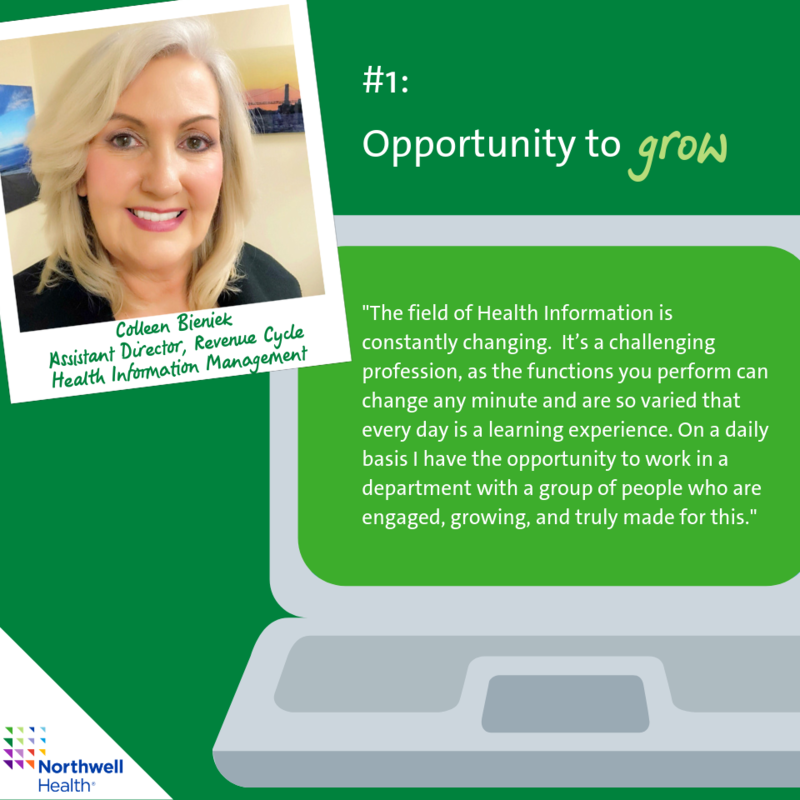 She remembers a dedication that struck a chord in her career early on, “a colleague of mine on 3 DSU instilled into her nurses the importance of sitting with your patients and taking the time to speak with them and help them understand what is going on.” This lesson stuck with Sharon. 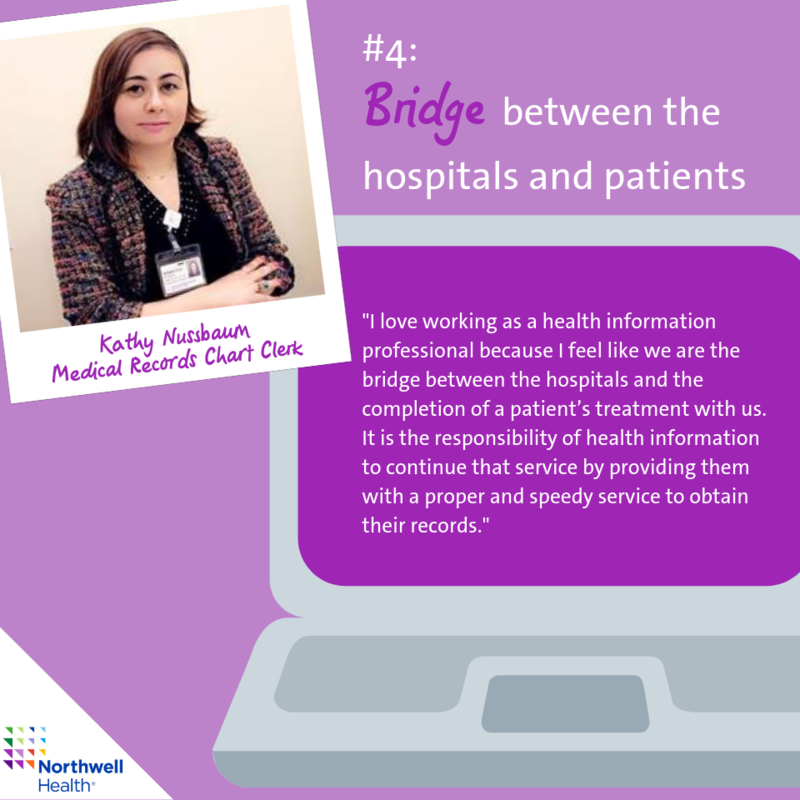 On her most rewarding day at Northwell Health, she joined the senior case manager and social worker of her hospital and medicine hospitalists to work with patients with an excessive length of stay. 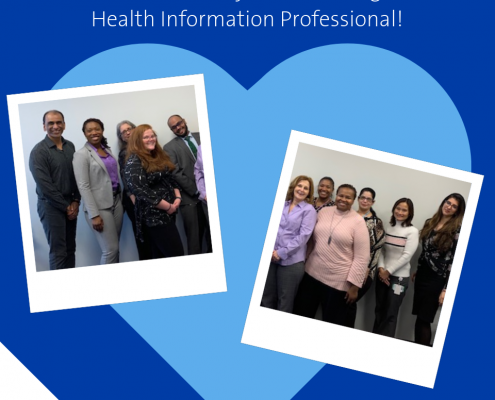 As a team, they took the time to speak with patients and their families to learn the ins and outs of what was affecting the patients’ hospitalizations. “I felt I was effective in helping patients make very difficult decisions like advanced directives or arrangements for a safe discharge to home. Good teamwork makes a big difference in providing good care for our patients and working with this team was great.” Speaking of volunteering, Sharon co-chairs every nurse practitioner event that takes place in her hospital. The planning is done on her own time and she usually comes in on her day off to allow herself to fully focus on the success of the celebration. Sharon says, “I enjoy being a nurse practitioner. I believe if you do not enjoy what you are doing you will not be able to be an advocate for your patients and their families.” Her goal is to celebrate nurse practitioners and ensure they have a fun, memorable time- and it’s definitely been accomplished! She’s organized a Hawaiian Luau, a Carnival, a Tea Party, a Beach Party, a Mardi Gras and many more! And that’s just her own hospital. Sharon also serves as the chairperson for the Nurse Practitioner Association of Long Island (NPALI) annual conference, a volunteer position where she organizes a full day educational conference for nurse practitioners throughout Long Island! Are you Made for working with exceptional Advanced Clinical Providers like Sharon? 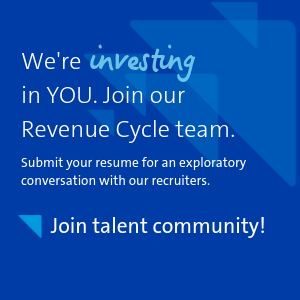 Explore your career opportunities at Northwell Health here. Welcome to 2019. We’re living in the age of medical marvels and miracles. We’re using robotic tools, GPS technology, and machines that defy gravity to help keep our community healthy. As a Planetree designated hospital, Northern Westchester Hospital is also proud of raising the bar for patient-centered care. Meet five extraordinary staff members who surpass all expectations to bring comfort and relief to our patients and their families. Years ago, when a patient with advanced cancer told Nurse Dorothy Cafran how much she loved autumn, Dorothy got an idea. “I’m a quilter and I have a lot of fabric at home,” she says. So I whipped up a pillowcase for her using fabric with fall leaves on it. 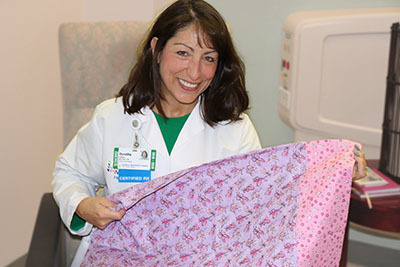 It brought her great joy.” It was the first of many pillowcases Dorothy has handcrafted for patients and their families. Many patients have trouble sleeping at night in the hospital. 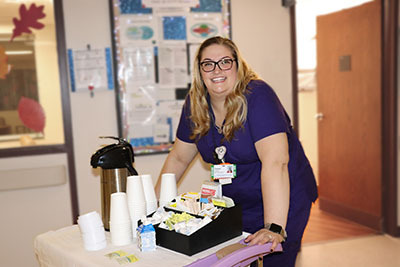 So Tammi Gonzalez, also known as Tea-Cart Tammi, a patient care associate on the seventh-floor cardiopulmonary unit, provides nightly “tuck-in rounds” to make patients feel comfortable and relaxed before bed. “I go around with a little tea cart, and I offer decaf tea and coffee, hot chocolate, graham crackers, and sugar-free cookies.” Other tuck-in options include warm blankets, eye masks, earplugs, hand massages, scented sachets and recordings of soothing sounds. “If we don’t have something they want before bed, I try my hardest to get it because if I were a patient, it would make me feel like somebody really cares. I love the idea of knowing that someone’s there to wish me goodnight.” How have patients reacted? “Some have told me, ‘Wow, this is better than a hotel! I don’t want to leave!’ ” Tammi says with a laugh. 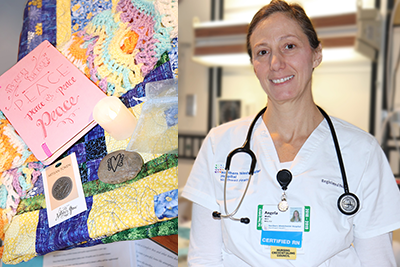 Angela Watts, an ICU nurse, created “comfort boxes” to help support patients and families struggling with the last stages of life. The comfort box is a small gift box containing items a family might need at the patient’s bedside, such as hand cream, lip balm, mints, tissues, tea bags, a booklet about the dying process, a small token with a powerful message, and a silk pouch that can be used to keep a lock of their loved one’s hair. Are you Made for extraordinary patient care? Explore all career opportunities at Northern Westchester Hospital today. Meet our Truly Innovative Physician Assistant Melissa Moscola! Melissa is a Truly Innovative PA at Northwell Health. As a practicing PA in various capacities, Melissa was working for a private practice providing critical care coverage. But she felt she could do more for patients and families. 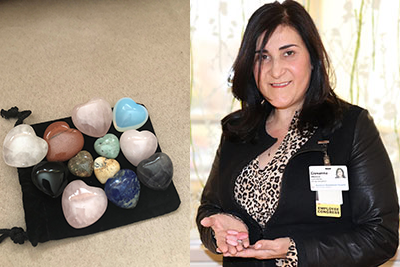 When the Follow Your Heart program, a support service for patients and families, was revamped and developed in partnership with CT surgery and Health Solutions, she jumped at the chance to become part of this innovative medical endeavor. As the program approaches its second anniversary, let’s learn how Melissa found the position she’s Made for. Melissa has spent most of her career working in critical care areas. This experience showed her the importance of support services, “when these patients survive and recover enough to be discharged from the hospital, their needs don’t disappear, they change.” That change means families and patients will need more support than ever. The Follow Your Heart program bridges the gap between the hospital and the patient’s home and helps ease the transition by providing increased access to care, medication optimization, and home visits. In her position, Melissa is “able to develop relationships with both patients and providers based on trust, which becomes particularly important when dealing with the most vulnerable patients.” And she can build those relationships without sacrificing growing her own. Melissa enjoys the flexibility she’s found in her profession, a flexibility that has enabled her to get her master’s degree, get married and have children. Are you Made for working with exceptional Advanced Clinical Providers like Melissa? As the daughter of a nurse, patient care manager Maureen Munson, RN, CEN heard nursing stories around her family dinner table. But it wasn’t until she started her career in 2001 at Phelps Hospital as a health unit clerk that she knew she wanted to become a nurse herself. So, when Maureen heard of a fellowship position at Northern Westchester Hospital, she jumped at the opportunity! “I believe fellowships are a great way to enter emergency nursing. 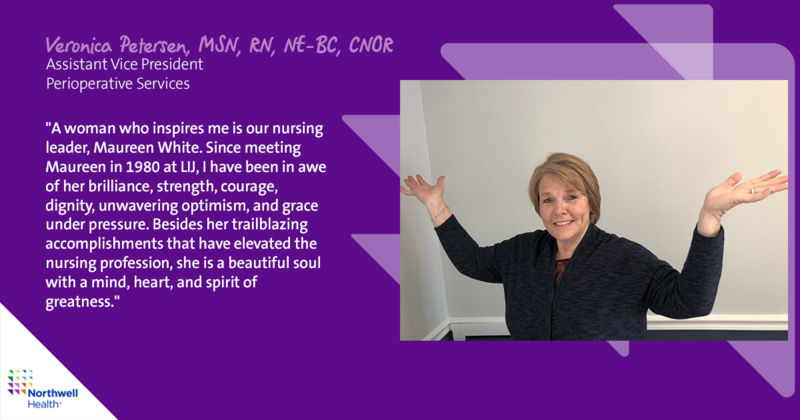 It was a scary transition leaving a hospital that I knew so well and diving into a whole new environment.” Maureen quickly learned she had nothing to worry about when she received the Up and Coming Nurse Award for 2012! Despite enjoying her new opportunity, Maureen missed the ED. So, when an ED manager position became available, she mulled over her decision and with the support of her director, applied. Her hard work was recognized and she took the position in 2016. It’s the same role she has today! And that support and respect are felt in her department. Her ED reached Tier 1 for staff engagement after she collaborated with nurses, techs, and her leadership team on an action plan to improve employee engagement. She’s also helped to facilitate a workgroup that has changed the way the Emergency Department reports on admitted patients and improve communication between other floors and the ED. “It takes a special person to be an ED nurse,” Maureen said. “It’s not about being able to stomach it, it’s about being able to prioritize care, recognizing small changes early, talking with patients and families when they are at their worst, and it’s supporting your co-workers. An ED is a team, a second family.” Do you have a passion for caring for and protecting our patients and communities? Join Maureen’s family in the Emergency Department at Northern Westchester! This post is part of a blog series highlighting Northwell Health’s ACPs – Nurse Practitioners and Physician Assistants. Each Northwell Health employee was nominated by their manager as an individual that exemplifies one of Northwell Health’s values. This month, we’re proud to introduce you to Andrea Orbon, who is a Truly Ambitious Nurse Practitioner. Hear her story. 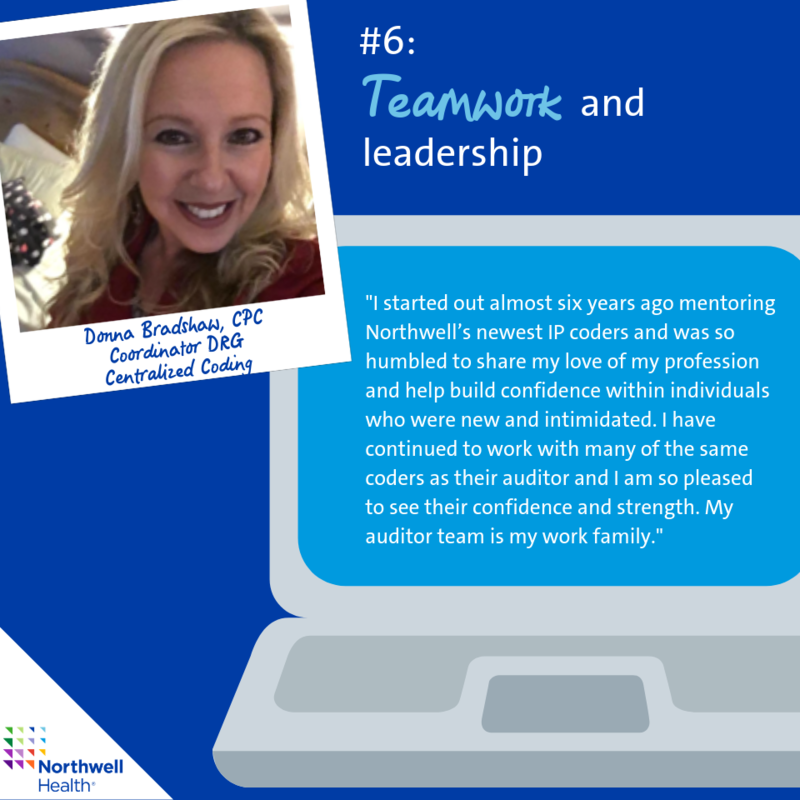 Since starting her career with Northwell Health in 2014, Andrea has maintained valuable connections with her patients and their families as they’ve grown, even caring for her former patient’s children. Andrea empathizes with her young patients and their families. Her commitment to her work is inspiring. “It takes dedication to your profession, regardless of your position, to ensure you are still there for your patients. 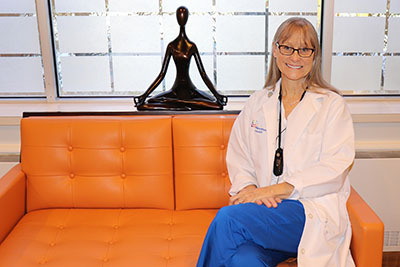 What’s nice about our practice is your patients become part of your family,” she says. Being Truly Ambitious inside a large health system means going beyond delivering quality care. It means focus on personalized care that’s more than a quick check-up, and it’s dedicated service that accounts for patients’ whole selves, now and in the future. 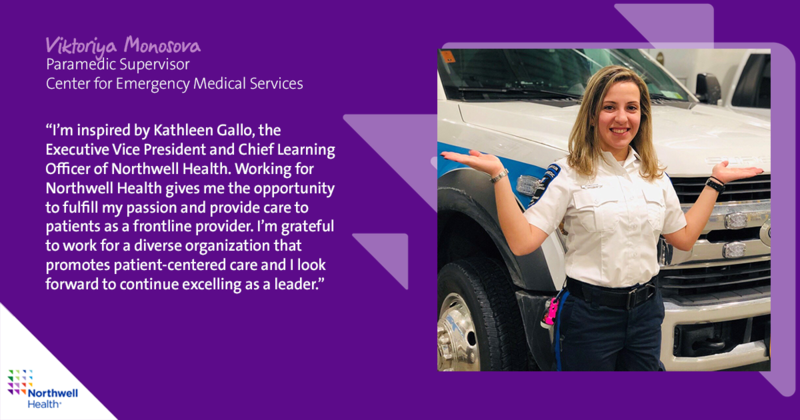 Andrea’s work is the definition of Truly Ambitious, and we are proud to call her a member of our Northwell Health family. While all the other girls in my high school were stressed preparing for their sweet 16, I was handling the stress of preparing for an admission to the hospital. To say living with chronic illness isn’t a struggle would be a lie, but you learn how to adapt when you have no other choice. It was around Thanksgiving in 2005 when I was diagnosed with Lupus (SLE) and Idiopathic Thrombocytopenia Purpura (ITP). Multiple admissions to and from Cohen Children’s Medical Center along with weekly home infusions would cause any 16-year-old to feel angry and hopeless. The details of my hospital stay are hard to recall but until this day I have never forgotten how the nurses made me feel. The feeling of vulnerability as a patient is difficult to explain until you have personally experienced it. Lonesome, angry, and hopeless; all words to describe the vulnerability overwhelming my emotions. During my time of despair, I had encountered a nurse who I will never forget. This nurse didn’t know it, but she had changed my life forever. Maybe it was the way she listened to me, made me feel like I wasn’t alone, gave me support, and hope. She made me laugh, made me forget I was sick, and made me remember that despite my situation, I was still a 16-year-old girl who deserved to have fun and celebrate my sweet 16 like every other girl at school. There was one thing I knew for sure leaving that hospital: I wanted to make others feel how this nurse made me feel during the hardest time in my life. I wanted to be just like her; it was in this moment that I realized my calling: I’m a Nurse and nothing will hold me back. Fast forward to 2 years later I started my first position at Northwell’s Plainview Hospital as a patient representative in the admitting and discharge office. I spent 4 years in this position while enrolled at Molloy College for my Bachelor’s Degree in Nursing. After graduation I continued to work at Plainview as a Registered Nurse for 7 years while simultaneously achieving my Masters Degree as an Adult and Geriatric Nurse Practitioner from Molloy College. Today as I look back I’m proud to say I have come a long way since I was in that dark, anger filled, hopeless place from 14 years ago. My current role as a Nurse Practitioner is in Palliative Care and I have never felt so much fulfillment in my life. Being diagnosed with multiple chronic illnesses, most of which are considered invisible disease, has forced me to push and work harder in order to achieve the same accomplishments as a healthy individual. I always remember back to when I was 16 and how vulnerable I felt – if I have the power to make just one person feel less vulnerable, advocate for them, decrease their pain, and increase their comfort then I have no other option but to continue my calling. Palliative Care is exactly where I belong because I am able to help those who are like myself. In each and every patient I see a reflection of my 16-year-old self staring back at me. At the end of the day before I lay my head down to sleep I can say with full confidence that what I do with my life isn’t a job, but a calling. Jobs are made with tasks for people to complete, but callings are for people whose task is never complete. The experience of the care is ongoing and is carried with both the nurses and patient for the rest of their lives. Nursing is my calling. I was Made for this. Are you Made for this like Laura? Explore Nurse Practitioner opportunities today! Northwell’s Kyle Nevins is a Top Five Finalist of ASCP’s 40 Under Forty. Here’s Why. We’re proud to announce that Northwell Health’s very own Kyle Nevins was selected as a 40 Under Forty Top Five through a combination of public voting and committee selection by American Society for Clinical Pathology (ASCP). This program recognizes members under the age of 40 for their achievements and leadership qualities that are making an impact on pathology and laboratory medicine. We have no doubt Kyle was acknowledged for her Truly Ambitious work! In December 2016, Kyle’s ambitions grew stronger as she advanced to the Laboratory Supervisor position in the new Management Services Organization (MSO) group. The MSO group’s primary responsibilities relate to performing laboratory audits at the 20+ Northwell Health laboratories where they help ensure readiness for all upcoming regulatory inspections and provide laboratory management oversight and consulting services for contracted non-Northwell facilities. 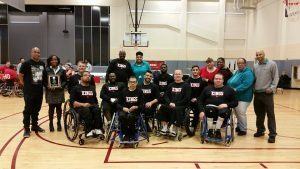 Kyle has found success and growth inside of Northwell Health labs. “From creating posters for presentation at conferences such as AACC and ASCP, to helping validate and open a new Ebola testing laboratory, and participating in nationwide CAP inspections, the opportunities for growth are endless.” We are proud of Kyle’s recognition as a 40 Under Forty Top Five, and look forward to seeing how she continues to push the limits of the labs at Northwell Health. Find your place inside Northwell Health’s labs here. Meet the 2018 President’s Awards Winners! Vivian is committed to taking care of patients on the behavioral health unit at South Oaks Hospital, caring for the female adolescent population. She begins each shift rounding, ensuring her patients are treated with respect, regardless of their illness. While she provides clinical care, she also builds trust with her patients and demonstrates that she personally cares. Sometimes when patients have no visitors for lengths at a time Vivian will come in on her day off with cupcakes. Vivian’s caring demeanor manifests itself in every interaction with patients and their families – exceeding what is expected to ensure everyone feels safe and secure. She is a role model for the girls on her unit, as well as her peers. Vivian always says that South Oaks Hospital is where she needs to be because her patients need her. It’s as simple as that. Watch Vivian’s Made for this story. 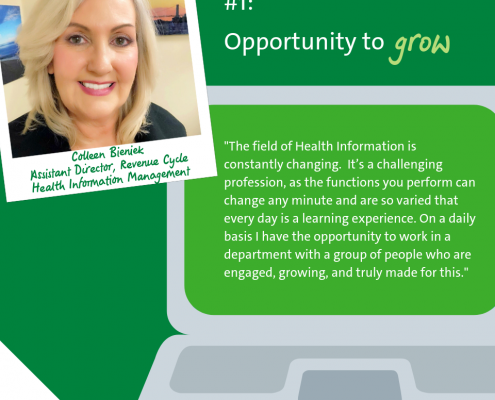 Many moments in Melonie’s life led her to her career in healthcare. From witnessing the tragic events of 9/11 to her service in the U.S. Army working in a Combat Action Support Hospital, Melonie knew helping others was her calling. While serving our country Melonie was assisting a critically-injured soldier who had been hit by a bomb. She soothed the soldier during his last moments of life by holding his hand and talking. Devastated by the loss, she found a letter to his family in the pocket of his uniform, and made it her mission to personally ensure the soldier’s family received this letter. Watch Melonie’s Made for this story. 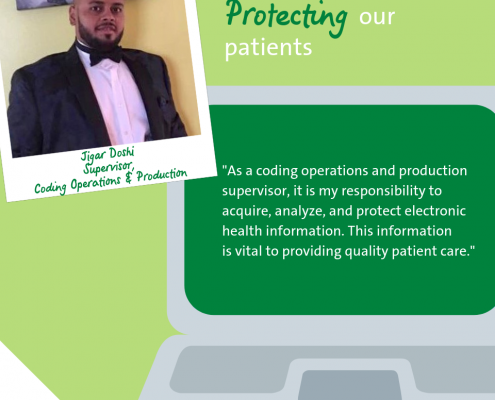 Launched at Staten Island University Hospital, Project Search is an innovative national program used to diversify a hospital’s workforce while minimizing high turnover in entry level jobs. The transition training program is for students with intellectual and/or developmental disabilities who have completed academic requirements and would benefit from internships and employability skills education. The program’s steering committee identified entry level positions, performed job task analysis and created a recognizable presence for program participants. Ten applicants were selected, and classes began at Staten Island in September 2017. Led by special educators and a job coach, students attended daily classroom academic sessions and spent the remainder of their day with their mentor in their internship. By the end of the year, students rotated through three non-paid internships that provided real-life work experience combined with training in employability and independent living skills. 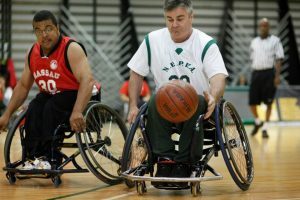 Staff became role models for the students, and the transition program has had far-reaching positive effects on attitudes about hiring people with disabilities and the range of jobs in which they can be successful. There is significant potential for rolling this program out within the entire organization. Watch Project Search’s Made for this story! Fighting cancer is frightening, stressful and challenging. Fortunately, patients at the Center for Advanced Medicine Department of Radiation Medicine have someone like Urszula on their side. As the department’s lobby service representative, Urszula is the first face patients see when they come to the department where they are welcomed with her warm greeting and smile. Seamlessly, Urszula maintains the patient flow, helping to keep patients informed and reassured if there are any delays. This is no easy task when you consider that she sees over 120 patients and their families daily. In addition to supporting patients, Urszula helps the department by spearheading creative ideas for improvement. She was heavily involved in rolling out the “Gong Ceremony” to help patients celebrate the important milestone of finishing treatment. Urszula wants to make sure no patient no patient goes through their diagnosis alone. Watch Urzula’s Made for this story! Watch Dr. Zetoune’s Made for this story! Director Cindy Ryan and Project C.A.R.E. Bring Wellness to New Heights! Director Cindy Ryan started at South Oaks Hospital 25 years ago, and says there has always been a focus and emphasis on wellness for its staff and the surrounding community. 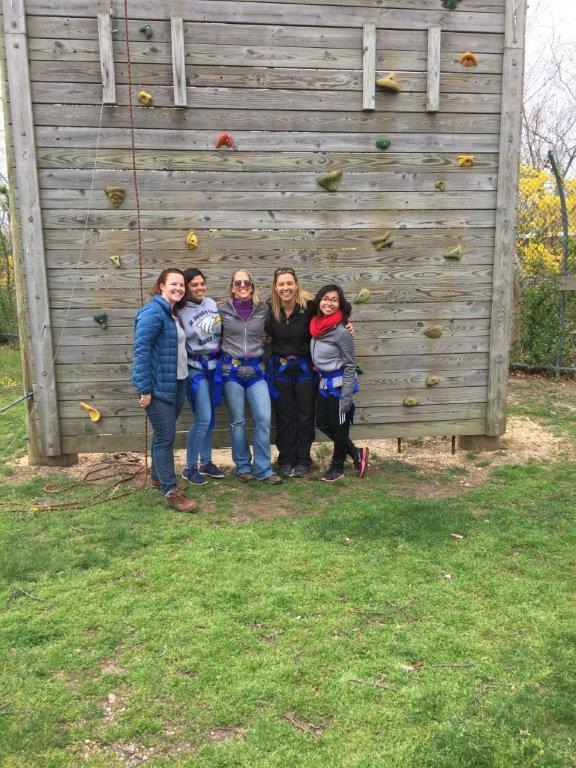 Now as part of Northwell Health, Cindy has found amazing opportunities for her team at South Oaks to bring Northwell Health’s dedication to wellness to the great outdoors through Project C.A.R.E. (Cooperative Activities Ropes Experience) and to South Oaks employees as a Wellness Liaison. So how does Project C.A.R.E. do it? Let’s say a Northwell Health team is struggling with effective leadership or communication and is looking to schedule a program day at Project C.A.R.E. A Project C.A.R.E. team member begins the process by completing an assessment of their needs. Some questions we ask include – What is the familiarity amongst the participants with each other? Do they work directly together? What are the goals the client hopes to achieve? What are the strengths of the team? What are the opportunities for growth and development? The information we get from this assessment allows our C.A.R.E. team to create a customized experience. This experience includes selected initiatives/activities that foster opportunities for tools and strategies of effective teamwork to present themselves. 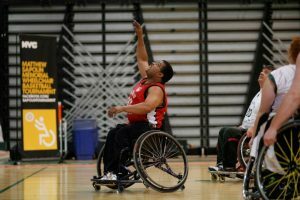 The learning occurs through group briefings, metaphors and evaluative reflection to make concrete connections between the participants’ experience and the application to other aspects of their lives. “Aha” moments can present themselves for the individuals and the team as a whole. Explore wellness at Northwell Health! Administrative Manager and Wellness Liaison Janet Schaetzle has been with Northwell Health for 12 years managing Northwell Health Physician Partners, Neurosurgery and Spine at Great Neck and Lynbrook. But don’t think she’s managing from afar as Janet’s on the floor with her staff and she doesn’t want to leave. In order to keep her staff in top shape, wellness is a major focus. For Janet, Northwell’s culture and wellness is connected to many aspects of her life — inside her office and outside in her community. Inside the office, Janet’s staff members focus on wellness through healthy lunches and Zumba. Janet’s staff also participated in the Walk To Dublin. 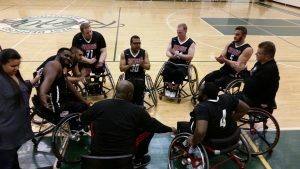 They embraced their love of competition and formed a team. “We monitored each other and we still do weekly step-offs and weekend rumbles. I’ve met people and made friends in other departments through the wellness challenges,” says Janet. That emphasis on wellness and the impact of Northwell’s culture extends from her office doors out into her community. 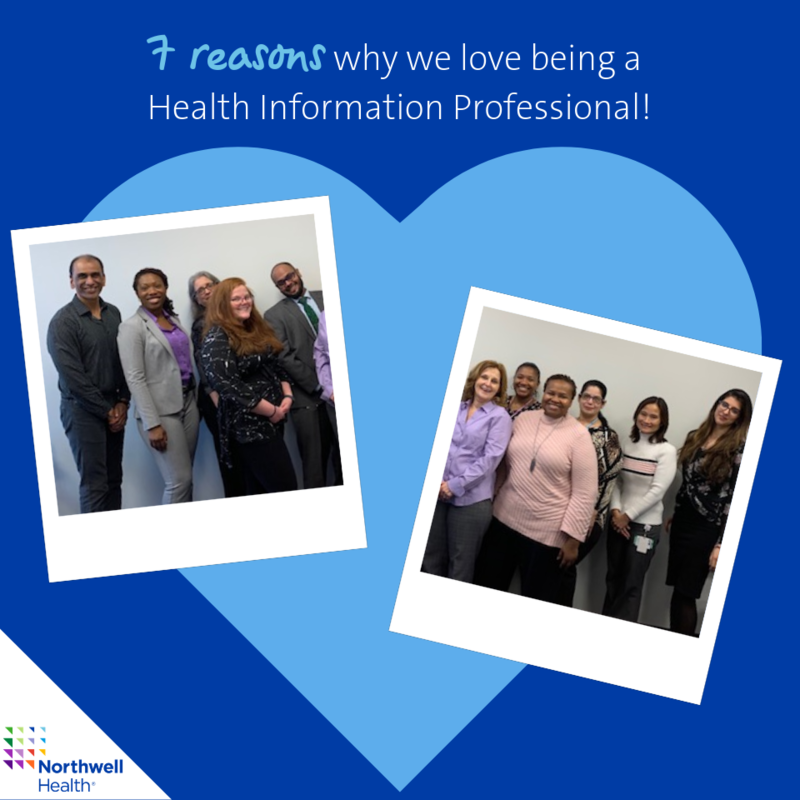 Janet is a part of the Northwell Life Facebook group that connects employees throughout Northwell Health. From Suffolk County, to Westchester, to New York City, employees are using social media to work together on community service projects in their spare time. For example, Janet’s office donates to Meals on Wheels with four other departments. In addition, the staff will take time on a weekend to serve families at the Ronald McDonald house and share a day creating a dinner for over 80 people every year for the past 3 years. “Northwell does so much with communities to raise money for brain aneurysms, breast cancer, and more problems that affect my patients. There’s a sense that you belong to an organization that really does care,” she adds. 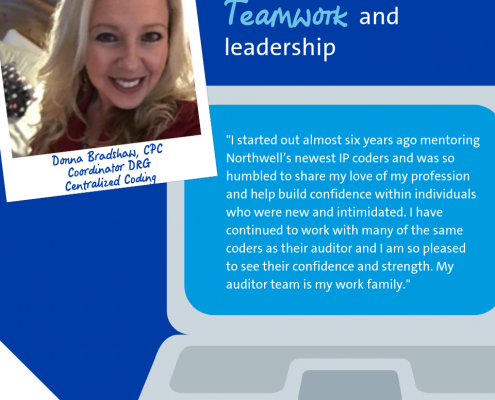 Janet has personally benefited from Northwell Health’s focus on employee wellness. And that begins with leadership. “Northwell brings people in from the wellness department and the EAP works with us in dealing with stress, sleep, and staying energized,” says Janet. “The staff is so into it and I’ve joined a gym since this wellness program started.” That dedication to wellness includes providing resources to help employees grow professionally. “We have so many opportunities to advance. 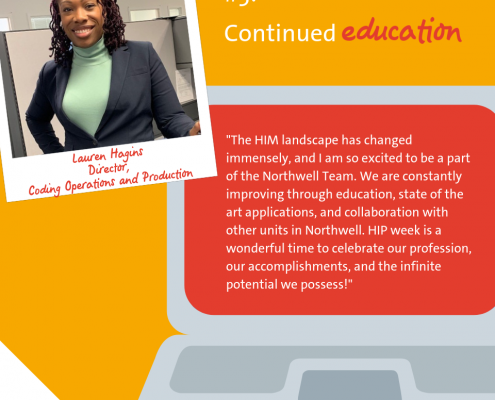 Through the Center for Learning Innovations (CLI), we can take classes, and Northwell Health will help pay for you to continue your education.” From Dealing with Stress Management to Emotional Intelligence for Leaders to Business Writing and Computer courses, Northwell Health provides employees with classes that help them advance and nurture their professional careers.